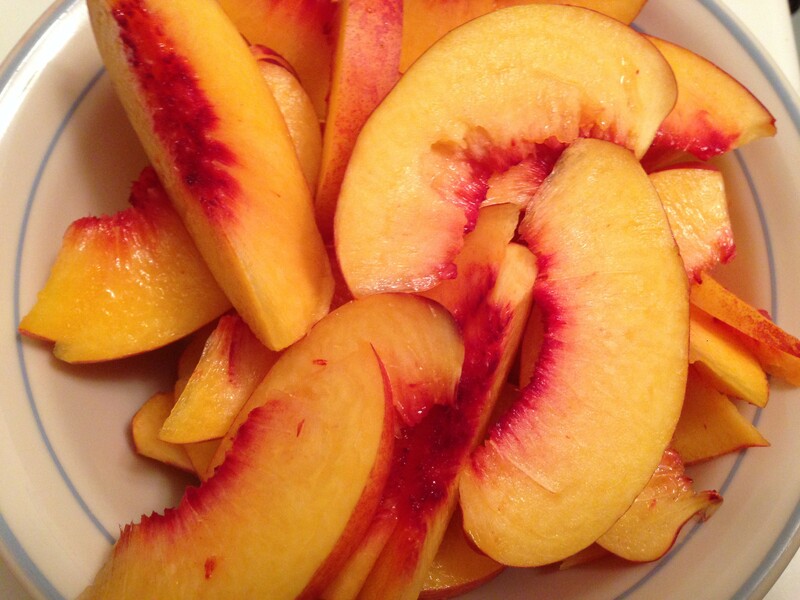 I thought about what I’d like to do with these and then I started thinking about peach pie, then peach cobbler, then streusel and that’s basically how I ended up with nectarine pancakes topped with streusel…that makes sense right? Then I remembered the pumpkin streusel pancakes I made, found an awesome peach pancake recipe, and it kind of took off from there! 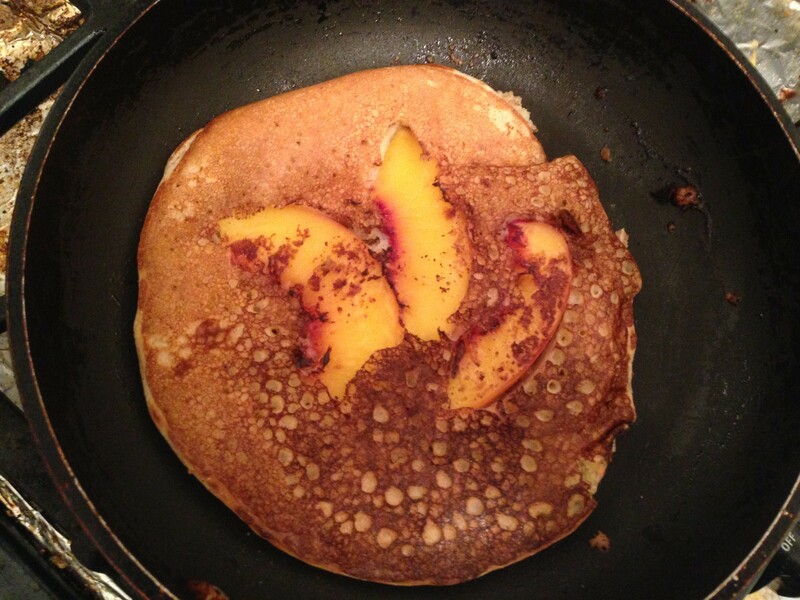 The peach pancakes recipe from Summer Living talks about making these for brunch – I do think that these would make a super cute presentation, but at the same time, they’re a little finicky so I’m not sure I’d want to make a ton of them for guests. The pancakes really want to pull away from the fruit so I definitely had some pancakes just crumple on me (not photographed, but still enjoyed!). Oh, also, the original recipe called for two types of flour, so I went with it. 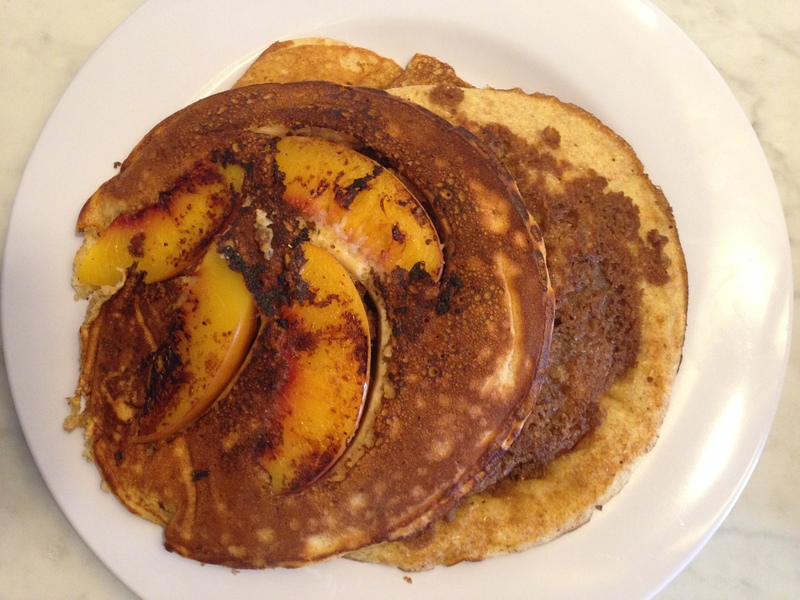 I think that it totally makes a difference and the heartier pancakes stands up well to the streusel and nectarines, but if you don’t have multiple types of flour or don’t feel like getting any, I think using regular flour would be fine. 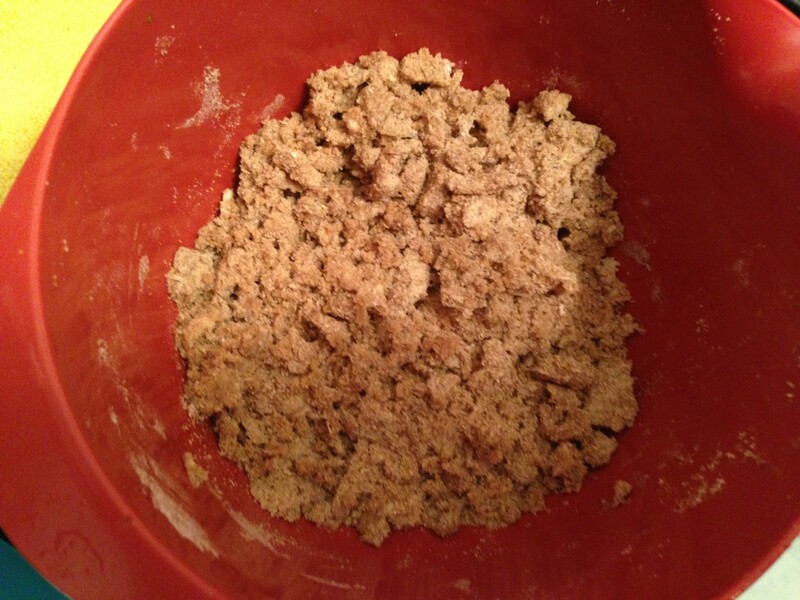 Put together the streusel by mixing all the ingredients together. 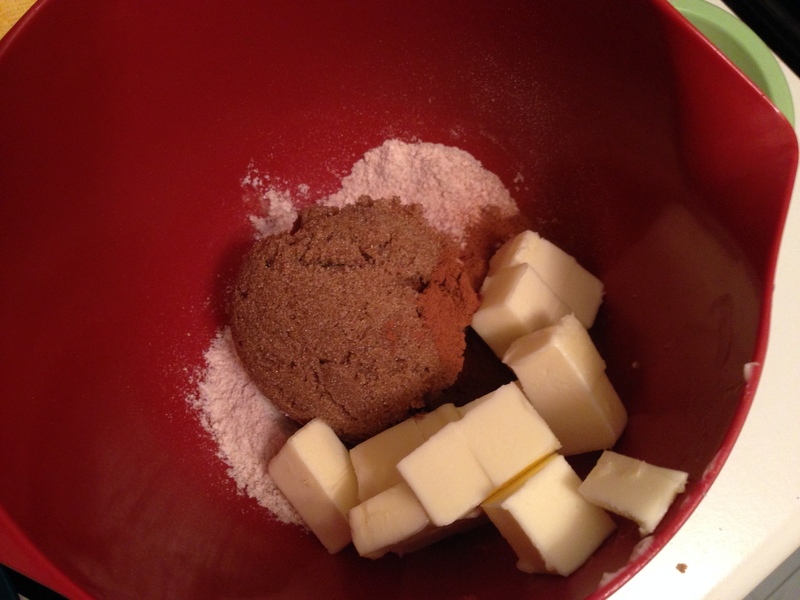 Then using a pastry cutter, fork, or your fingers to work the butter into the other ingredients until it looks crumbly. Set aside. Whisk together the flours, sugar, baking powder, and baking soda. Add the buttermilk and eggs and whisk until combined. In a frying pan over medium heat, melt a little bit of butter (just enough to coat your pan). 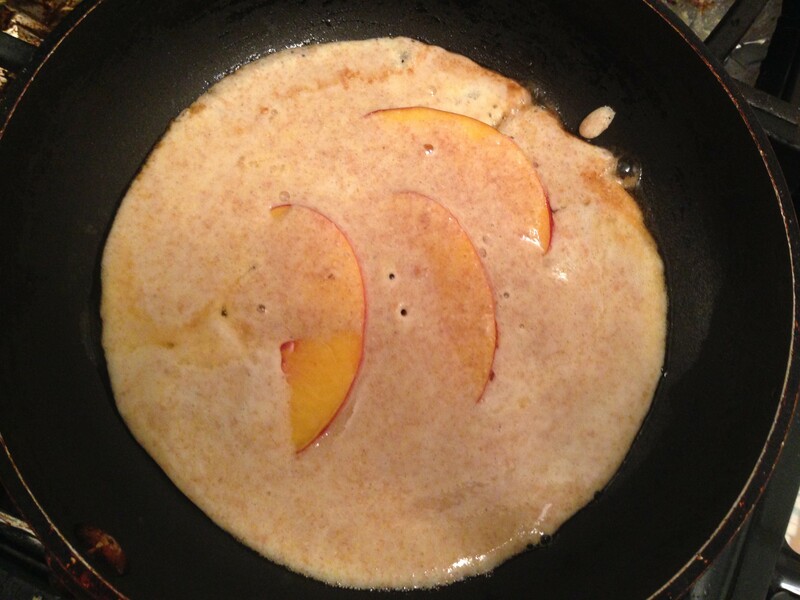 Place 3-4 slices of nectarine in the pan and let cook for about 30 seconds. 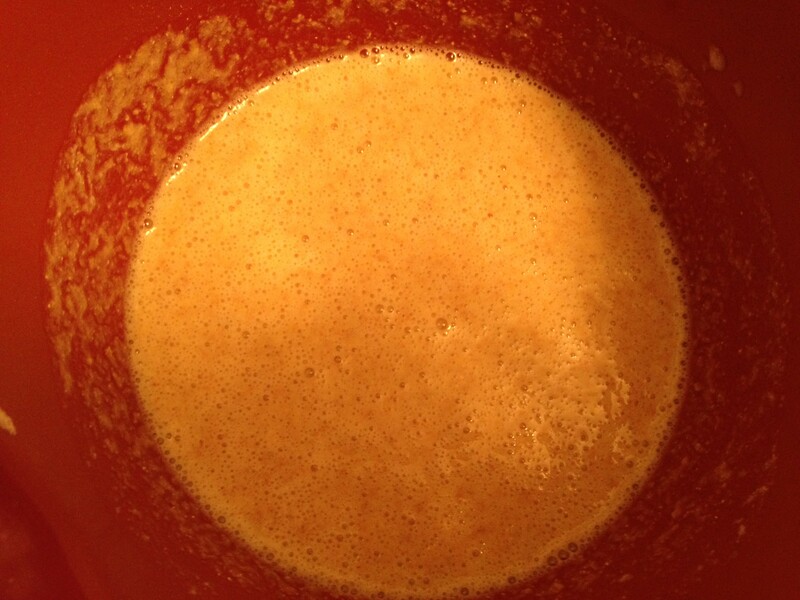 Pour about 1/3 C batter over the nectarines and cook for about 30 seconds. 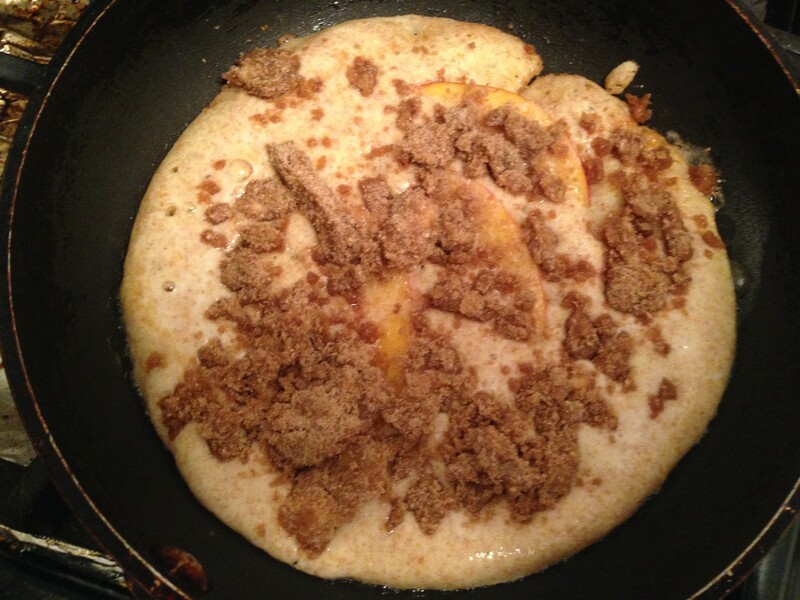 Sprinkle approximately 2 Tbs of the streusel topping over the top of the pancake and continue to cook until the pancake is cooked through and the batter on top looks completely dry, 3-4 minutes. Flip and cook for another 2-3 minutes.